Ashley is known for her inspirational self-help and advocacy work in the heath and wellness field, particularly in the arthritis and autoimmune illness communities. Ashley created and maintains a Facebook group for young adults living with arthritis and rheumatic conditions called Rheum to Grow. Ashley formerly worked at the Arthritis Foundation, Western PA Chapter, as their Rheum for Wellness blogger and a Community Development Director, and with the Arthritis Foundation, Mid Atlantic Region, doing social media outreach and advocacy work. She was the voice behind the popular “Wellness with a Side of Life, Please” blog and also assisted in maintaining their Twitter and Facebook pages. 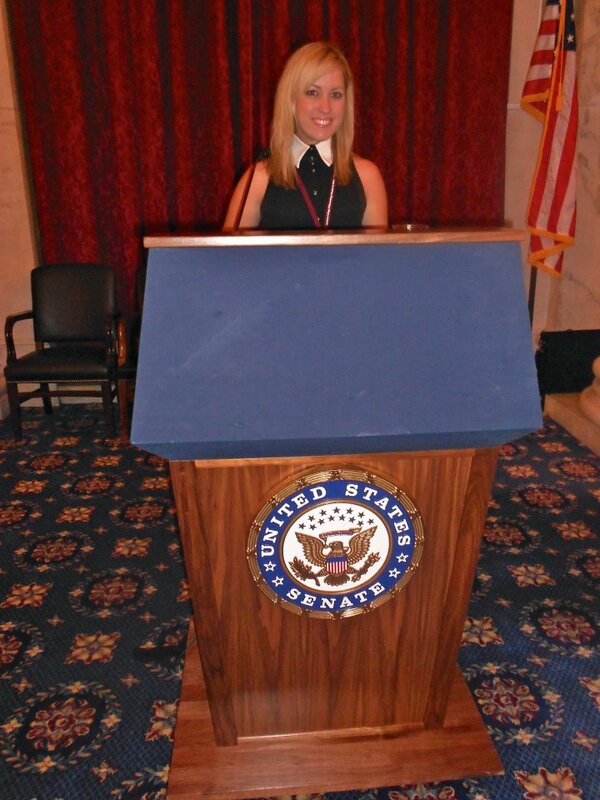 In 2011, Ashley spoke before members of Congress on Capitol Hill on behalf of the American College of Rheumatology about important topics in arthritis advocacy and rheumatology. She has been featured in their “Rheumatologist” magazine, as well as Health Monitor: Arthritis, on ABC Health, Healthline, and more. Ashley has been a guest-blogger, writing about health topics on Happy Feet Today, wowOwow.com, and Let’s Move Together. She recently joined Healthline.com as an Arthritis Reporter. In 2009, she was named an Organized Wisdom Arthritis Expert. In 2012, she was nominated for 3 WEGO Health Activist Awards in multiple categories, and was also named a candidate for the Leukemia & Lymphoma Society’s “Woman of the Year” designation. In May of 2012, Ashley was a co-host for an ABC News Twitter chat on Arthritis. She was also named a Top 10 Rheumatoid Arthritis Expert by Dr. Oz’s website, Sharecare Now. She was a key presenter for World Autoimmune Arthritis Day on May 20, 2012, and appeared in a “Simple Tasks” campaign for the American College of Rheumatology. She has also assisted a pharmaceutical company in developing a website featuring arthritis-friendly tips and products, called Arthriving.com. In 2014, Right Relevance named her a Top 10 Online Influencer in the areas of rheumatoid arthritis, arthritis, chronic pain, chiari, lupus, and autoimmune conditions. In 2015, Healthline named the @ArthritisAshley Twitter account one of the Top Arthritis Twitter Accounts of the Year. Ashley lives with rheumatoid arthritis, lupus, sjogren’s syndrome, celiac disease, sinus tachycardia, POTS, hormonal porphyria, and chronic migraines. She has overcome brain surgery, chiari malformation, and more. After nearly 20 years of relying on pharmaceutical drugs, she now manages her health more naturally and on a mostly-holistic, integrative level. In 2013, her RA was basically pronounced to be in remission, and she has been able to take up yoga, biking, kettlebell, Zumba, and tabata-style exercises, after years of struggle. Check out Arthritis Ashley on Pinterest, here, and on Instagram by following hashtags #rheuminder and #arthritisashley!